The BenchTie is designed to be used with the information tag. Once the BenchTie is set and located, information can be recorded on the tag with a permanent marker. This will enable the surveyor to leave a benchmark that is easily identified and used by others. 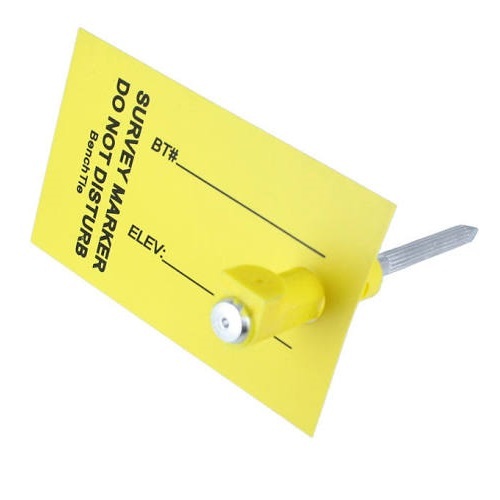 High visibility tag for marking data. Resections are made instantly and accurately. Pre drill to set in concrete.